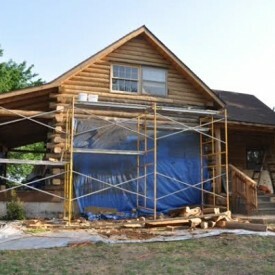 Whether it’s restoring log homes, repairing log homes, chinking and caulking log homes, improving log homes, or log home maintenance, our staff and crew at 888-LOG-GUYS is an expert in the field! We have over 15 years experience in the log home care business, and you are guaranteed the best in the business when you decide to use our services. From the very beginning, we are professionals with a sincere desire to help you with your log home needs. In the end, you will be 110% satisfied in our work. Call us today or request a free estimate from our website! If your logs have become dark or dull or if your stain is starting to peel, call 888-LOG-GUYS or request a free estimate online for your log home restoration. 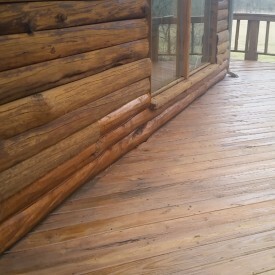 Our crew uses media blasting (corn cob, glass, sand, or walnut), sanding a borate treatment (cleaning including an insecticide), energy seal (caulking or chinking), and staining to rejuvenate your log home or log cabin to its original beauty. We service the Kentucky Lake Kentucky area, and we are waiting to hear from you! Each log has the possibility of breaking down or becoming damaged. Don’t worry if you have found logs that need repair or replacement! 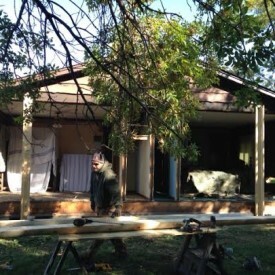 Our crew at 888-LOG-GUYS are the best guys around the Kentucky Lake KY area to fix your damaged log home! It doesn’t matter the issue is log rot, logs bent out of shape, log structure damage, or logs that have bug or bird holes. We are prepared with experience, knowledge, and the best products to get your log home or log cabin back in excellent condition! 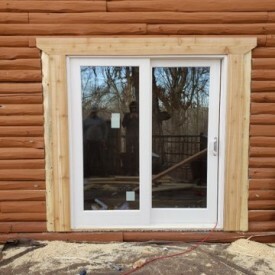 If you have gaps in between your logs, it can be the source for certain annoyances you may be experiencing with your log home or log cabin such as air drafts, water leaks, or invading insects and bugs. Don’t tolerate those things any longer! 888-LOG-GUYS can apply chinking or caulking (energy seal) to your log home or repair chinking or caulking to keep it comfortable and cozy. Call us or ask for a free quote from our website! Don’t you sometimes dream of what you could add to your log home or log cabin to make it even better and increase its value? Keep dreaming and also tell 888-LOG-GUYS what you would like to add to or build onto your log home! We have constructed log staircases, constructed log railings, built decks, built porches, and built patios to increase the value of our client’s log home. We are available to serve you in the Kentucky Lake KY area, so call our number today or request a quote online! 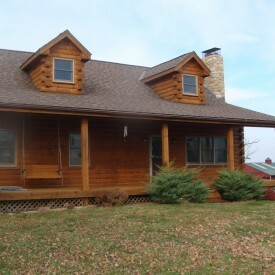 Without proper log home maintenance, you log home or log cabin in the Kentucky Lake Kentucky area could become damaged or need a full restoration to get it back in shape! Instead, to ensure your log home’s healthy and stability, let 888-LOG-GUYS maintain and take care of your log home or log cabin. You will save time and money investing in a regular maintenance schedule with our company! 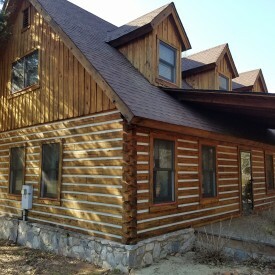 We are here for you to address any issues that affect the condition of your log home!